Acclaimed artist/designer Ashley Wood is preparing to launch his latest comic-book project at IDW this summer with String Divers, a comic series blending a team of robot adventures and string-theory physics! String Divers, directed and overseen by Wood and written by Wood’s Zombies vs. Robots co-creator Chris Ryall, features stunning artwork by Nelson Daniel and a concept that grows bigger the smaller it gets! 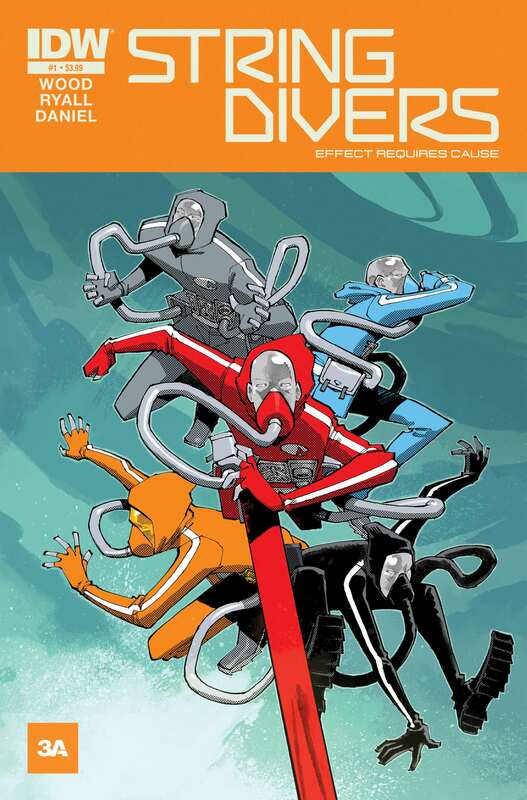 Spun out of Ashley Wood’s 3A Toys’ line of titular figures, String Divers incorporates string theory as threats to our universe at the sub-microscopic level have dire and lasting repercussions in our universe and across all dimensions. Ashley Wood will be providing story direction, concept design, art direction and covers for String Divers. Wood and Ryall are joined by Nelson Daniel, fresh off a long run on IDW’s Judge Dredd, on art. Daniel, who previously partnered with Ryall on the Stephen King/Joe Hill project, Road Rage, will again be providing art and colors on both interiors and variant covers of each issue. 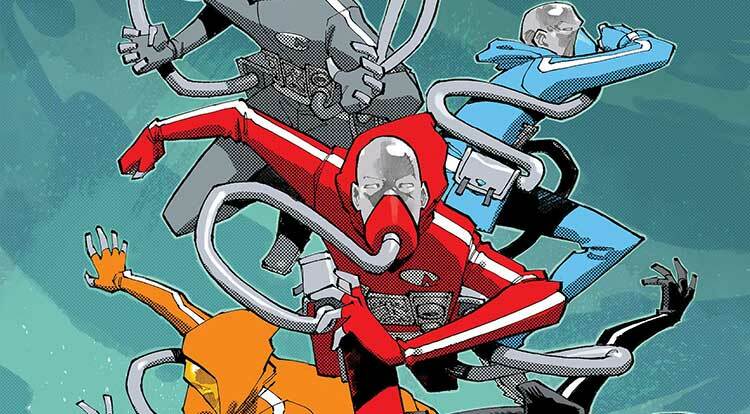 String Divers #1, a 32-page, $3.99 comic, launches in August! IDW is an award-winning publisher of comic books, graphic novels and trade paperbacks, based in San Diego, California. Renowned for its diverse catalog of licensed and independent titles, IDW publishes some of the most successful and popular titles in the industry, including: Hasbro’s The TRANSFORMERS, G.I. JOE, MY LITTLE PONY and JEM AND THE HOLOGRAMS; Paramount/CBS’s Star Trek; Nickelodeon’s Teenage Mutant Ninja Turtles; Toho’s Godzilla; Twentieth Century Fox’s The X-Files, Temple Street Productions’ Orphan Black; DISNEY Comics; Ragnarök from Eisner Award-winner Walter Simonson; and Zombie vs Robots by Chris Ryall and Ashley Woods. IDW is also home to acclaimed imprints such as the Library of American Comics, which publishes classic comic reprints, Yoe! Books, a partnership with Yoe! Studio, IDW Artist’s Editions, and Top Shelf Productions. IDW’s critically- and fan-acclaimed series are continually moving into new mediums. Currently, Jerry Bruckheimer Films and Disney are creating a feature film based on World War Robot; Dwayne “The Rock” Johnson and Warner Brothers are producing a film based on Ashley Wood’s Lore; Michael Bay‘s Platinum Dunes and Sony are bringing Zombies vs. Robots to film, Alex Kurtzman is producing a movie based on Locke & Key at Universal.